PAM: Hi everyone! 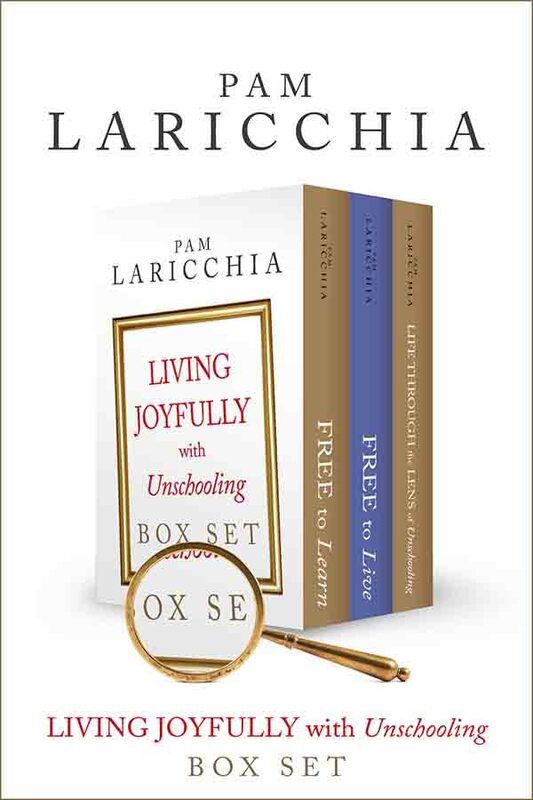 I’m Pam Laricchia from livingjoyfully.ca and today I’m here with Jen Kobrick. Hi Jen! 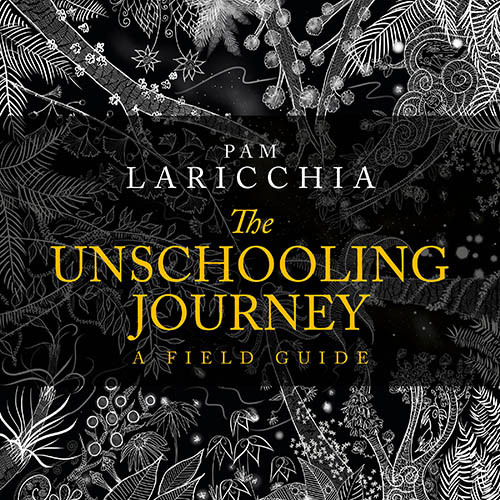 PAM: Jen connected with me recently and suggested this topic and she passionately shared some really great thoughts around the value of the unschooling mindset when it comes to parenting younger children. I’m so excited that she agreed to chat with me today and we managed to arrange it. JEN: I am a massage therapist by trade although I don’t do very much of that right now. I’m interested in travel and a lot of creative pursuits like knitting and cooking and things like that. My husband Ryan is a professor of space flight operations and all-around space geek. My son Rafi will be three in July so he is not technically unschooling age yet, but he loves cars and all sorts of vehicles, he loves Legos, he loves plants in the garden, he loves animals and he has a very strong-willed and persistent and opinionated little soul which I’m grateful for every day because it has pushed me as a parent, much more than a laid-back kid would have done. PAM: Oh, I love that because I can just go right back there and that was my experience as well and making that shift. Long before I heard of unschooling, because my kids originally went to school, but from that young age they just had so much spirit so much opinion and it didn’t seem wrong, so it is a fun yet busy stage, right? 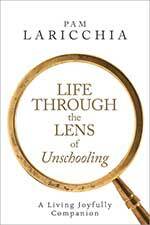 So, how did you actually come across unschooling? 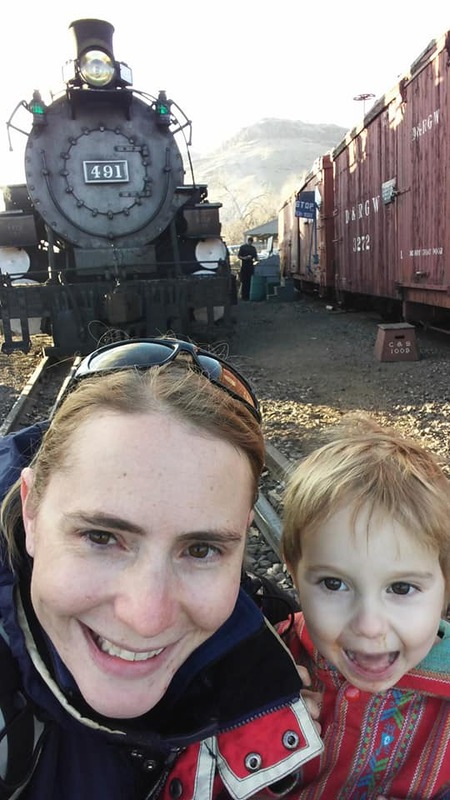 JEN: We had been considering homeschooling in some fashion since before my son was conceived and I knew homeschooling existed at least since I was in high school if not younger. When my son was really tiny—like three or four months old—we went to this place called Lab School where we used to live. It only went birth through Pre-K but really their focus was parent education and it was very focused on peaceful parenting, conscious discipline mindset. That was really my introduction into non-traditional parenting practices. At the same time the child part of it was just kind of ridiculous because it looked more like a traditional pre-K for a little bit older kids. They would set up some cool activities: things that were messy or things that were expensive, things that required climbing, things that would be hard to do at home. There was like this set block of time for art and a set block of time for stories and a set block of time for sensory play and a set time for snack time with all of these things for these very very young children. My son often did not want to go on with that agenda. He would get into one of the activities and then be really pissed by having to leave it. I found Lab School very valuable for my own learning and growth. Then we moved when my son was about one and we were going to be too far away to keep going there so in my exploration of, ‘How can I continue this experience that has been valuable to me,’ I found some valuable parenting resources and that’s great but what I was looking at was how to replace the child part. 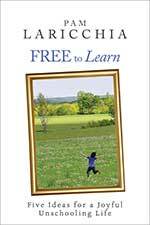 Homeschool curriculum exist for toddlers, which is ridiculous, but they do. But as I’m looking at them, I’m thinking, ‘There’s no way he’s going to do that.’ I’m going to be fighting with him again. There’s just no way he’s going to go along with some agenda of us sitting down doing shape flash cards or something. So, somewhere along the way I was going, ‘We aren’t going to be doing that kind of school so maybe we’ll look at Waldorf or Montessori approach.’ There are things I like about those, and things I don’t like. I’m still going to have to coerce him, so, maybe I’m going to have to make up our own curriculum and that sounds like a lot of work! 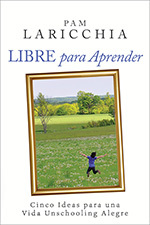 Somewhere along the line I thought, ‘There’s got to be another way,’ and somewhere along there I came across some unschooling resource. I don’t remember which was the first one I came across. When I did though, I thought, ‘Well that’s not a lot of work.’ I mean, I guess, it is in one sense, but not in preparation work and not in fighting with the kid and making them do work. It’s work that doesn’t feel like work; it’s work that feels like play and fun. So, my son was just over one year old when I discovered in the concept of unschooling and since then I’ve just been reading, listening to your podcast, and trying to take to heart the idea of applying a little bit and seeing what happens. In applying a little bit more and seeing what happens. PAM: That’s awesome! That’s one of the reasons why I was really excited to talk to you when you suggested it because I know in the past I talked about how attachment parenting can transition very seamlessly to unschooling as children hit school age. I didn’t discover attachment parenting when my kids were younger. That’s been based on my reading on attachment theory then my own experience. Like you, I was kind of feeling it out and going that direction because I was following my child, but that was just because that’s what made sense to me at that time. But you’re engaged in attachment parenting circles right now. So I’m excited to hear your experience. 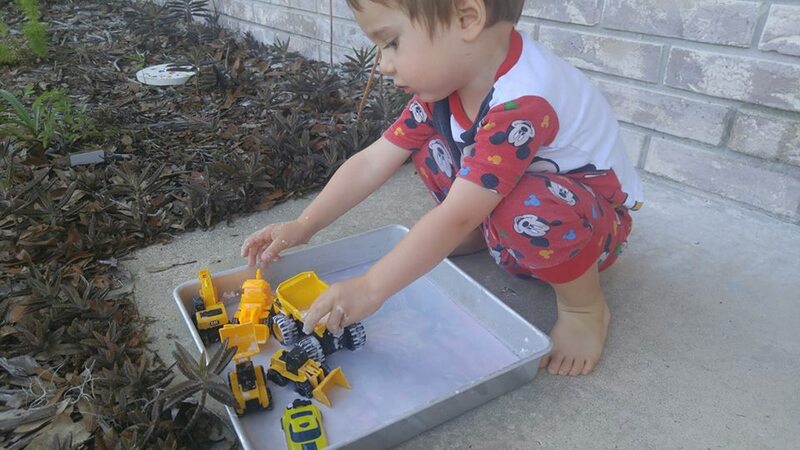 Have you found attachment parenting and unschooling mindset diverging as your son is entering toddlerhood? 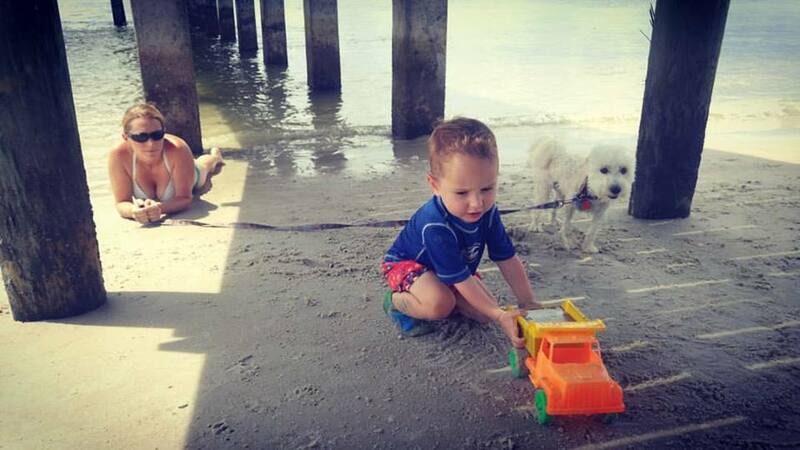 JEN: Yes, he’s two and about 9 months. I don’t want to paint all attachment parents with the same brush because I think that actually, in theory, a lot of attachment parenting ideas converge seamlessly with unschooling. I think a lot of people who come to attachment parenting or who have a lot of those ideas when their children are infants still have a lot of the traditional parenting goals. They still want to accomplish X, Y, and Z with their child. They still want their child to have a predictable bedtime, they want their child to eat at certain times, or they want their child to cooperatively get dressed in the morning, or whatever thing they want to happen easily in parenting but they want to accomplish it without force and without violence and without screaming. They are looking for gentle control rather than making this huge paradigm shift and trying to let go of all the control all together. 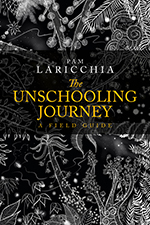 So, that’s where, as I have learned more about unschooling, I’ve started to become frustrated with the advice that I get from those circles. I’ll struggle with something that’s unique to a toddler that somebody with an eight or nine-year-old is going to be like, ‘Yeah, in five or six years you won’t even remember that.” Which is helpful and not helpful at the same time! But the attachment parenting advice would be natural consequences or rewards or things like that that aren’t quite what I’m looking for. So, I think it can be very useful certainly in shifting the mindset away from punitive control of children, but doesn’t maybe go quite away from control as unschooling mindset does. 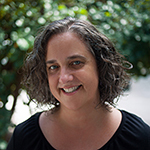 JEN: As infants they are fairly easy for the most part and, of course, there are infants who are really challenging but most infant needs are attainable once you figure out what they are. Infants just want to be held, they want to be fed, they want their diaper changed, they don’t have a lot of wants that either can’t be met or a lot of frustrations that need to be expressed but not necessarily fixed. Then, as they become toddlers, they have a lot more emotions that they need to express and that need to be supported but not necessarily handled or dealt with by the parent, which is really hard for a lot of parents who didn’t grow up with it being normal to express emotions and have those emotions listened to by somebody. Toddler’s also start to develop a lot of agency and have a lot of their own opinions about how things should go, how things they want their body to be treated, and they can communicate those opinions more so where an infant might have had opinions but you didn’t know it, a toddler is going to make sure that you know what they think! PAM: Yes, even just physically they are now able to get around, that’s the whole point of agency. Now they can actually accomplish it. That’s fascinating and it makes so much sense. I thought it would be fun to dive into some examples with you. 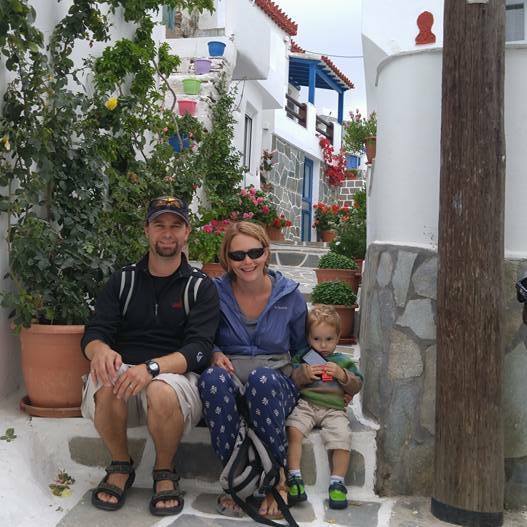 I was hoping you would share some ideas for parents who are looking to work together with their young children rather than gently controlling them to do, or not do, the things that they do or don’t do in that moment. I thought we’d start with bedtime. JEN: Bedtimes have been a challenge for us. My son has never been a child who has slept super predictably, even when he was an infant. There has been a lot of pressure from some sources and a societal idea that it is a good and important thing for really young children to sleep on a predictable schedule and, in particular, that really young children need a really early bedtime and my son is a night owl. When he was really little it wasn’t as obvious because when a six-month-old who stays up till 8 pm is not impacting the adult schedule, but now that he’s not sleeping as much of the day it’s more clear that he is definitely a night owl, and my husband and I are, too. It’s not like it’s a surprise to anybody. It is sometimes a challenge because we’ll get comments from complete strangers out in public who will say, “Shouldn’t you already be in bed? Or, “Somebody’s up late,” or things like that, which fortunately, at this point, we’re fairly confident in that he’s doing just fine with his own sleep. But we have had to get creative to make sure that everybody is getting enough sleep, especially when my husband has to get up at a certain time for work. He needs to make sure that he’s getting enough sleep so, there are some nights where I have to try to find ways to keep my son relatively quiet at the other end of the house so that my husband can go to bed if he’s got to get up early. And there are lots of times where I will sleep in until my son wakes up because that’s how I get enough sleep and we’ve had to get creative about taking advantage of if he goes to bed a bit earlier or if he takes a nap about taking that time to be together and don’t go, “Well I was planning on doing this tonight. We were planning on hanging out tomorrow night,” but just taking those opportunities when they come up. And learning to be very flexible. It’s also been helpful as we started looking at it from an unschooling perspective to look at observing him and his cycle because, without trying to force him to go to sleep at a certain time, we started to notice the behaviors that show that he’s starting to get sleepy. Not like he’s ready to go pass out right now but he’s doing these things that are his cues that he is starting to get a little tired, so I will start turning the lights down or suggest reading a story. Something that’s calm and quiet. There’s another set of cues that he has when he’s really getting close to falling asleep so that’s when I can suggest, “Hey let’s go sit in the chair together,” and he’ll usually say, “Yeah that sounds good.” Looking at it from my perspective of guiding him to help him follow his own rhythms that he may not be ready to follow completely on his own rather than trying to force him to follow a clock to go to sleep. PAM: I love that and I love that rhythm, and often on the podcast we talk about flow. It’s learning so much about him to help him follow his flow. I love the way you talked about seeing his cues because that’s the way you’re helping him explore his cues. Right now, you are kind of identifying them and using them to point in a direction that will support him in the way that you think he’s trying to express. 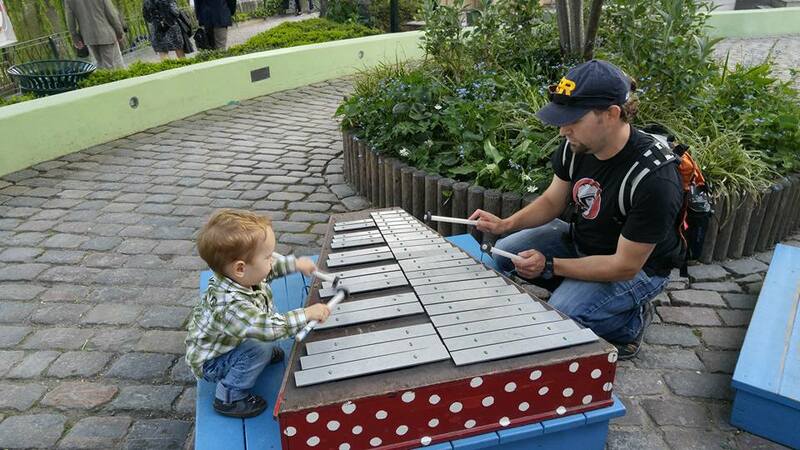 That’s how that whole feedback loop of doing that with you is learning for him about learning about himself. If it works for them, they start to eventually notice those cues, ‘Oh so that’s when we do this and that’s when we do that.’ It’s such a great way to learn about yourself rather than, like you said, some kids do want to go till they drop but so often having a routine around the things that we do regularly, especially around bedtime, is something that’s very comforting. I love the way you talked about bringing that all together because so often it’s a classic unschooling new person, ‘Oh, you don’t have bedtimes? Okay then we’ll take away bed times’ and then everybody just runs around screaming and upset and eventually just crash. There’s a totally different way to go about it. PAM: I know! Children are capable of learning right from the get-go aren’t they? It’s really just amazing to watch. So, the next one we were going to talk about was sharing. Now that we’re moving away from control and more into connection, working with our kids how do you approach that? JEN: Sharing is one of those that is loaded for a lot of people with a lot of fear and anxiety for the future with a lot of, ‘If my two-year-old isn’t sharing then nobody’s ever going to be friends with them, they’re never going to be able to have good relationships with people, they’re never going to share, you’re never going to care about anybody but themselves’. So, then they’re coming into two-year-olds who want the same toy with all of that piled on top of it. That’s one thing that I found very helpful, is to step back from that and just be in what’s happening right now, in this moment. Also, it’s like things slow down when you let go of that baggage and urgency and intensity about it. If you slow down enough to where, in the same span of time that someone else might be yelling at their kids to share, that I can see, ‘Oh, in this situation right now it’s that they both want this toy and there’s only one of it’ or ‘We’re in this situation right now and it’s that one of them is tired or hungry and is just overwhelmed by the number of kids around and is just feeling frustrated’. Or maybe this is really a very special toy to one of the kids and they’re probably not ever going to want to share it or at least not at this play date. But all of those have a different response. And that sometimes one or both kids respond to that reflecting by sharing or by offering some other kind of solution by suggesting a toy that the other toy can go that the other kid can go play with instead. It’s amazing how even at two or three they can start offering their own solutions to these problems. Sometimes I just end up comforting one child while they’re upset and still verbalizing that for them, saying to the other child that it looks like this child is really upset. They really wanted to play with that. My son is very introverted and so he gets easily overwhelmed by a lot of kids being around so one of the ways that that shows up is that he doesn’t want to play with them because he doesn’t want to interact socially, so, if he’s feeling like he doesn’t want to play with kids it usually shows up as not wanting to let the kids play with the toys he’s interested in. But more and more often, it comes up that he suggests what toy they should go play with or that he even says, ‘I don’t want to play with you right now’ which probably sounds inappropriate to some parents but it’s very honest and very forthcoming. It’s also helpful for people to realize that it’s not normal for two and three-year-olds to share the way people think two and three-year-olds should be sharing. Two and three-year-olds have clear ideas on what they want to be doing with their toys and do not want anybody else to interfere with that. PAM: What you’re describing in their language, explaining what’s going on in the moment, that’s how they learn. That’s how they gain experience with those moments and, like you said, now your son is to the point where he’s starting to offer some solutions along the way when these things come up. JEN: When we project this out in to the future, when he’s 15 or 20 or 40, it’s not that we want our kids to give away whatever they have just because somebody else wants it. None of us do that as an adult even if we’re very generous and gregarious, we don’t give away everything we have just because somebody else wants it. PAM: And we don’t ask other people for things out of the blue! JEN: We do hope that when they are grown up that they will see somebody else feeling sad or left out or hurt and that they want to help. Not necessarily by giving them something but they’ll want to find a way to help that person feel better. PAM: It’s about the people and not the thing. It’s about the people that are involved at whatever age, not really about the thing that they’re fighting over, or both interested in etc. At any point, it’s about the connection and the people involved. JEN: It’s almost never about the toy that they are fighting over anyway. It’s really about how they’re learning how to play with each other or it’s about something totally unrelated like being tired or hungry but it’s not really about the car or the train or whatever specific item it is. It’s never really about that. PAM: That’s a great point! JEN: While buying two of them doesn’t solve the problem. PAM: I remember that! There was a book that I had as a child and it was these two princes and it was a book about sharing and how they each wanted the same thing so their parents bought them two of everything and it didn’t solve everything! PAM: Okay let’s dive into another big one. A lot of people ask about teeth brushing. JEN: I know lots of other unschoolers have talked about the actual science about teeth, about tooth decay, so I don’t think we need to rehash all of that. But, specifically, with really little kids, I have met very few little kids who like brushing their teeth, so this seems to be something that basically everyone feels. It’s another great opportunity for creativity and for observing what it is that the child doesn’t like. Is it that they don’t like something being stuck in their mouth? Or that they don’t like something being done to them without their involvement? They don’t like the taste or the texture? Or that they are already so tired by the time it’s happening before bed that they can’t cooperate with anything? What specifically is going on with that child? So, we have played various games at various points. We found some wipes that have Xylitol in them which we originally got for when we are out and we keep them in the diaper bag and in case he falls asleep on the way home we might use them. Sometimes he’ll request that instead of a toothbrush when we’re at home and that’s always an option for him. We’ve looked at other types of brushes. They make these wide brushes that are meant for the gums of infants but there’s no reason you can’t put toddler toothpaste on them and let the kid chew on it because it’s basically a silicone teething toy almost. PAM: I love that! There’s so much creativity and working with them. I love that, ‘We’re going to do that when you fall asleep!’ It’s so true that maybe if they’re getting tired, before bed isn’t the right time. Maybe you have a different kind of routine. There’s just so much to it that creatively I think you can work to find things so that you very rarely, if ever, end up in an ‘or-else’ situation because then it’s about the power and it’s not about the teeth at that point. JEN: Obviously healthy teeth are important, but nobody’s teeth are going to rot in two days or three days or four days or a month of not brushing their teeth. So, it’s not something that necessarily has to be solved today. Try something today and if it doesn’t work try something else tomorrow and in the time that it takes you to come up with 30 different options and try them all something is going to click or your kid’s going to change and grow and something’s going to be different. PAM: There’s also the genetic component. You could be diligently brushing everyday and they’ve got soft teeth and they get cavities. 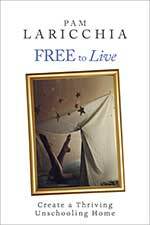 It’s working through that shame piece, too, that feeling of judgement if my child has cavities, or whatever, and we are just so conditioned to blame ourselves for everything to do with our children whereas just working with them and being creative and living with them—that gets us where we can go. JEN: This is also a great opportunity for modeling. Brushing your own teeth in front of your kid and talking about why you brush your teeth and not just because, ‘I don’t want my teeth to rot,’ but, ‘My teeth feel funky when I wake up in the morning so I like to brush them first thing when I get out of bed. And then my teeth feel better and my food taste better when I eat breakfast.’ I don’t brush my teeth in the morning because I want my teeth to be healthy. I brush them in the morning because I don’t want my mouth to taste funky. But sharing those things, those kinds of reality and why we share those things. PAM: Living actively alongside them, not hiding all those little pieces. If we noticed that we usually brush our teeth after they go to bed or whatever we can change up our routine, too. We can brush when they do or do it together or make a point to do it in the morning. Maybe it’s easiest when everyone’s fresh because as I’ve heard as long as you’ve got one brush in a day that’s fine. That’s what my dentist told my kids that as long as you get to them at least once a day you’re good. My kids are good at that. What are some tips you may have for young kids and technology? And now computers are, for a lot of people, lumped in with tablets and phones, ‘all rotting your brain.’ It took me a while to get around to seeing how technology could be useful and could be a learning tool without explicitly doing educational content. Lots and lots of unschoolers have talked about all of the wonderful things about technology but specifically with young kids there’s a lot of pressure about recommendations about no screens before age two. Some of the same fear that all parents have and a lot of extra piled on judgement on parents of young kids or fear of judgement at least that if other people see your kid using a phone or watching something on a tablet they’re going to assume that you’re an unengaged parent who just sits their kid on the couch all day and never interacts with them. So, that’s definitely a huge piece for all parents but maybe especially young children, for parents to work through. Also, to make sure that you’re not just abandoning them on the couch with the device when they’re interested in watching something. My son knows how to find a new video on YouTube now or at least if it’s in the list of recommended videos attached to whatever he’s watching, but, of course, he’s not writing so he can’t search for something on his own. So, if he’s not interested in any of the videos that are there on the screen then he needs help to search for whatever he’s looking for. When he first started watching videos on YouTube he didn’t know how to change videos and so it really required me to be very present while he was watching and to be really watching him so that if he found himself watching a video that looked interesting but then turned out to be violent or something that made him uncomfortable that I was paying attention to be able to help him change it. Maybe other kids would immediately scream and yell if they found a video they weren’t comfortable with, but my son would draw inward instead. He would get more quiet, so if I was in the other side of the house doing something I wouldn’t necessarily know that he was getting uncomfortable and needed help. So, it was really important that I was there next to him and engaged and watching. One of the things that a lot of parents fear are that their kids are going to find something inappropriate watching videos if they’re not controlled and restricted. A lot of the things that parents are afraid their kid is going to find are things that are really unlikely that your two-year-old is going to find. Your two-year-old is not likely to find p*** on YouTube but that doesn’t mean they’re not going to find something they are uncomfortable with and that’s a really important distinction, because my son’s really interested in cars and vehicles and a lot of people think that little boys should be all about cars crashing into each other and monster trucks crushing other cars and some are and that’s fine. But mine is not. Mine views cars basically as people so he finds that as horrible to watch as you and I might find a really gory murder scene in a movie. I think there’s a place where somebody who’s not paying close attention might think that’s fine. ‘He should be fine watching that,’ but he’s not and he needs help. He needs help to change it to something that he is comfortable with. I think it’s important for parents of really young kids who may not know how to do all the things with the device themselves that the parent is staying engaged and observing what’s going on for their child. PAM: I love that and such a great point to be there with them because in all the things that we’ve talked about, it’s been about the connection with the parent—it’s about being engaged with your child. That’s this lifestyle, if you’re choosing this lifestyle and to be there. Watching for his cues—again another connection that we’ve seen—whether it’s cues for tiredness or cues for things that were bothering him, or toothbrush in their mouth or things that their looking for. I’ve talked before about how at that young age we’re kind of their hands. There are things that they want to do that they aren’t yet capable of doing for themselves. Sometimes they want to do it for themselves, ‘No I’ll do it, I’ll do it!’ Having the patience and letting them do it themselves is awesome but other times they just want the thing done, ‘Oh I want to see the next video.’ So, to be there and engaged with them so that we can do those things for them so that what they’re engaged in stays connected with what they’re thinking. They’re accomplishing what they’re wanting to accomplish and so they’re getting experience that they’re looking for in that moment. I love that point about being their hands. They might not even know why they’re starting to feel uncomfortable, whether it’s a video or game or something they’re watching or whatever, but again it’s us noticing the cues and saying, “Would you like to change that, would you like to stop that, do you want to go do something else?” You’re just helping them learn more about themselves. They’re like, “Oh yeah, I’m feeling more icky.” They may not have made that connection between how they’re feeling and what they’re seeing. So, staying engaged with them, that’s a huge piece I love that. And the other piece that you mentioned, the shame and the judgment that we can feel from other parents, that is something for us to work through. 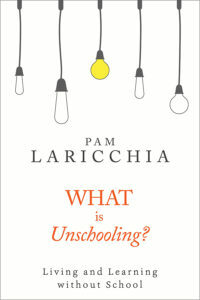 Let’s face it, unschooling is unconventional! So, you’re going to need to start working on that as early as you can. And it’s going to keep coming up as they hit different ages and there are different expectations and society etc. And us knowing our child, because that was a huge piece for me. 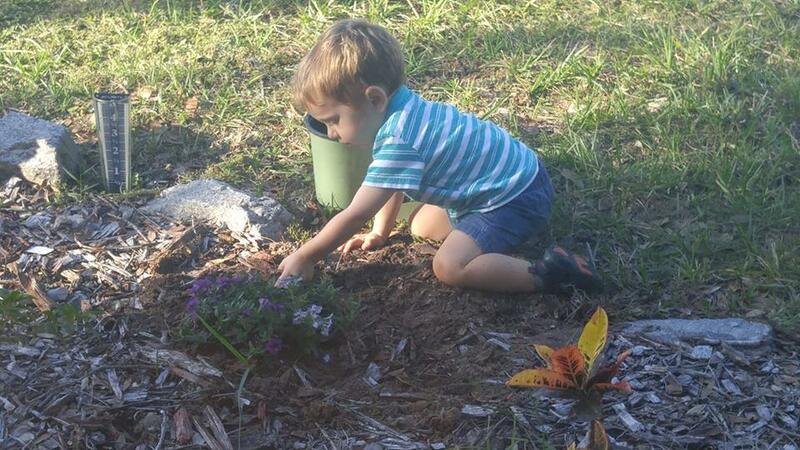 Since I knew my child, I knew what they were getting out of whatever it was they were choosing to do or not to do. Why they didn’t want to do it, why they did want to do that. So that always helped me get more comfortable and past that judgment. ‘I can see why you are thinking that because that’s very conventional, that’s the way most people think, but that doesn’t actually relate to my situation.’ That’s how I can talk myself through it, when I was feeling something. I love that, that was great. Oh look! Our next question! Conventionally there’s a big push for early childhood education, you can get a degree in it, there are full industries around all that and I suspect that you have felt that push already and I was curious about how you respond to that through the lens of unschooling? JEN: It’s amazing how pervasive the idea is of educating children from birth, especially from about two or so. So, in some ways I think it might be easier for parents of really young children to start to make that shift of seeing learning happening because even mainstream parents don’t think that you need to teach to walk for instance. If the ideas come along in the right time in the right way that it doesn’t need to be that big of a leap to say, ‘Well, if I don’t need to teach them how to walk, then I probably don’t need to teach them how to learn their numbers,’ or something as these things will come up. Also, the things that really young children are expected to learn are so prevalent in life: colors and shapes and numbers and letters are everywhere where, like, calculus might not be so obviously a part of everyday life, so I think in some ways it’s a little bit easier to make that mental shift. Obviously, the younger you lay that foundation, the easier that is when they are school-age. It can be challenging to be around parents who have a more traditionally education mindset and are already starting to quiz kids on whether they know their numbers in the right order and things like that. It’s definitely been a process. It’s obvious where something translates to academic learning. Since he’s really into cars, all the cars have numbers on them, so he’s learned to read numbers just from being interested in cars and knowing which cars are which from which number is on it. But then there’s other things that are not necessarily obviously. How they translate into academic learning and so already we’re having to start making that leap of faith and that trust in him that he’s getting what he needs when he needs it and that he will learn all of the things that he needs to know in his own way, in his own time, without necessarily looking like he’s learning those things. Learning doesn’t start at five years old any more than it ends at eighteen years old so, the sooner we can embrace the way they naturally learn, the less deschooling they are going to have to do to get back to a place where they can naturally learn. PAM: That’s a great point. As soon as you start bringing in those expectations of things that they “should” know, that’s stuff they have to work through because that places value on something somebody else tells them they should know. Which then devalues what they’re interested in. It makes your interest, no matter your age—we just call them hobbies and we downplay them all the time. ‘That’s what I can do after I get my work done.’ That has to get worked through so that you can value what it is that you’re learning and doing everyday. There is value for a child who has to go to school because a lot of it is through reading, that’s why they want to teach those letters, teach reading early because reading is very important because that’s how they’re going to get their information, how they’re going to be writing their tests and so if they’re not reading that impacts all their learning in every subject because it’s all communicated through that. But once you can get through that process and realize that that’s a school timetable and it’s not a human timetable and that human timetables are valuable to the individual. JEN: It’s interesting, once you let go of that end product, then you can see all the things that happen along the way that are interesting and valuable in their own right. I mean, of course my son is not reading yet and isn’t close to reading but because we’re not focused on, “Well, he needs to hurry up and get to this end result of reading,” we can see all of these things that every child has to master before they can get to reading. I think a lot of people don’t notice that because they are so focused on that end goal. For instance, he’s starting to recognize letters, Not all of them, not all of the time. He’ll make connections. He invented this game where he takes his letter magnets off the fridge and he’ll ask me for something that starts with that and I forget which letter he started with but he said, “Mom, what starts with this?” And I told him something and he ran off and came back with that toy. He started playing this matching game where he’d pick a letter and I’d tell him something that started with that letter that he has a toy of and he’d go get the toy and collect them all. That’s entertaining in its own right without it being about learning letters or about making progress his progress on some track to reading. It’s making connections in his mind that these things relate to each other. So, it’s interesting to see these little connections that all have to get there before it’s possible to be the one sitting down and reading something and they’re all interesting and they’re all fascinating to discuss with him about what he’s discovering about the world and what he’s finding out without any pressure to get it past that and make another connection. I remember when my kids used to line up letters and asked me what it said and you’re pronouncing this long word and they thought that was just the most hilarious thing! Because they knew that wasn’t a word, so just in there they’re picking up that the letters that are in words are important and the order of the letters in words are important before they knew what the sounds actually were. It was just some fun but out of every little thing we do, little experiment, a game we play—those are all little experiments for them. “I want to try this and see what happens. What does this mean, what does this mean?” It’s just so fun to see their minds in action, isn’t it? JEN: And with signs, right now his interest is not about trying to figure out what the sign says necessarily. His interest right now is mostly about understanding the social dynamics of like, ‘Why is there a sign there?’ There’s a place we go to on the beach where there’s a big sign along the dunes saying not to climb on the dunes. Then there are signs as we’re leaving the beach saying make sure you picked up all your trash. He asks me to read those signs every time we go there, but then his questions for me are not about sound that word out for me. His questions are about why can’t I climb on the dunes? Why is that sign there? So then when we were talking about wanting to protect a place that special to us and about the people might not know that it’s not okay to climb on the dunes so there’s a sign there to help them learn what to do in that spot. He’s making all these other connections that might be totally missed if I went, “Oh you’re interested in words! Let’s teach you to read!” But these other things are really valuable for him to understand about how we communicate and why we communicate. PAM: That’s where I was going to go! Writing and reading is really all about communicating—about communicating a message—and he’s seeing that this is a method to communicate something to people. You put it on a sign so you can communicate it to everyone who walks by. That is so cool! Okay, just before we wrap up here—I’ve been having a lot of fun, thank you very much, Jen! I wanted to just check in with you and see if there were any more ways you wanted to mention that you find the unschooling mindset a valuable way to approach your day. Even though your child isn’t school-age yet. JEN: I think one of the biggest things is about curiosity, both about seeing his curiosity and facilitating that and giving that space also about me being curious, about coming into any situation that comes up or especially if I don’t feel like I know what to do or have the answer. I’m coming in with a perspective of curiosity about what’s really going on and why, and I find it that helps to get to a place of figuring out what to do. Figuring out a creative solution on what to do, but also it helps to remind me that he is his own person and having his own experience in whatever the situation is. That helps to remind me to not go in with the agenda of making my own perspective happen. PAM: That we have the answer, right? JEN: Right. That’s huge for sure. PAM: That’s awesome and that is something that has just helped me tremendously over the years. There’s just a beauty in stepping into a moment not knowing where it “should” go because as parents, at first we’re told we should know the answer. We should be telling our children where to go to make this model child into a model adult—that we should always have the answer. We should always be telling them what to do. But that shift to just going into a moment, observing and being curious as to how everybody else is seeing that moment, what everybody else is wanting to get out of that moment. It can seem really scary until you’ve done it a few times. We imagine how people are just going to want to take advantage of us. 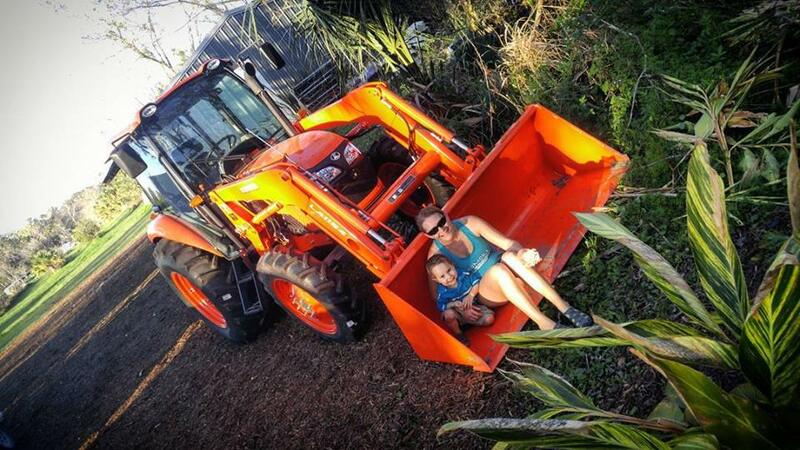 The kids are going to want to do the craziest, most impossible things, but they don’t, do they? But yeah, coming at it with that open mind and ‘what if’ and curiosity and just creativity in the moment. It’s just a whole different lifestyle, isn’t it? To let go of that comparison and to let go of the anxiety and the fear that goes along with that and just have my kid in front of me. And it makes more room to connect with other people’s children because they are not the competitors of my son. They are just other amazing children that I can see being amazing in their own right. PAM: Oh yeah that’s such a great point. I never really thought of it that way, but absolutely, I’m just so much more welcoming of each child as an individual, as themselves because it doesn’t matter, one to the next. There is no comparison anymore. Everybody can just be doing, and we can enjoy what it is that they enjoy. Like, I always loved it when my kid’s friends came over and I would say “What do you love doing?” Like any kid, “What’s your most favorite thing?” Then they can talk for ages and they’re excited about it—whether it’s cars or dinosaurs or whatever, it’s just so fun to see them in their element. 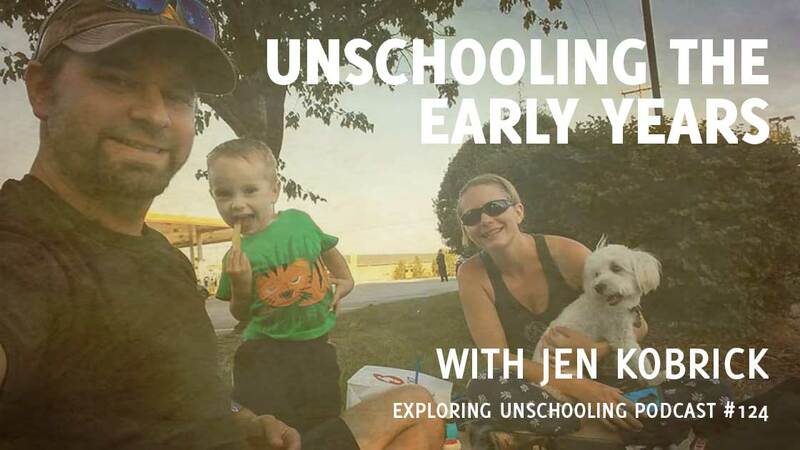 JEN: I don’t know a lot of unschoolers locally so most of my friends and my son’s friends are conventional parents, at least when it comes to education. So, there will be times when somebody comes in with, “Oh well I’m so sorry that my kid is doing this thing,” coming and apologizing because they’re afraid that I’m going to be judging them. There is so much more room now to be able to say to those people, “Oh wow, he must be having a really hard time with that. Maybe we can do this and try that see if it makes a playdate go better today” or whatever. We can just see the parent can relax and so then everybody can connect better like that. Everybody can connect better when we’re all just seeing each other as individuals where we are without with all this other stuff. PAM: So true. Even now, when I’m just out and about sometimes you’ll see a parent with a child who’s doing something whether they’re stopped still looking at little flowers or at some statue, or they’re walking very slowly on a curb and I always just take a moment to try and catch the parent’s attention and just smile and say, “That’s cool.” You can see them just relax into that because you can see the pressure starting to mount. They’re wondering if people are starting to get annoyed or, ‘Are people starting to look at us?’ You can see that pressure of judgement just building into their posture. It’s really nice to be able to acknowledge that and help put them at ease and it just opens up the situation in that moment. Thank you so much Jen. It was so much fun! JEN: It was lots of fun! PAM: Before we go where’s the best place for people to connect with you online? JEN: I have a Facebook page and it has nothing to do with unschooling and it’s called Adventures En Pointe where I take photos doing ballet and all sorts of strange places when we travel and I post them just for fun. People can find me on Facebook as Jen Kobrick and you can send me a private message. I probably won’t accept a friend request if I haven’t talked to you and I don’t know who you are. But you can send me a message there and we can connect that way. PAM: Thank you so much Jen! Have a great day!